In my eyes, there seems to be an all-out war to keep the Black Man and Womban apart. Why? What’s so special about the Black Man and Black Womban? Are they really that powerful TOGETHER that ‘the powers that be’ would do everything to try to keep them apart? ‘Trust’ by Cezanne: Listen to the poemsong that goes with this painting! 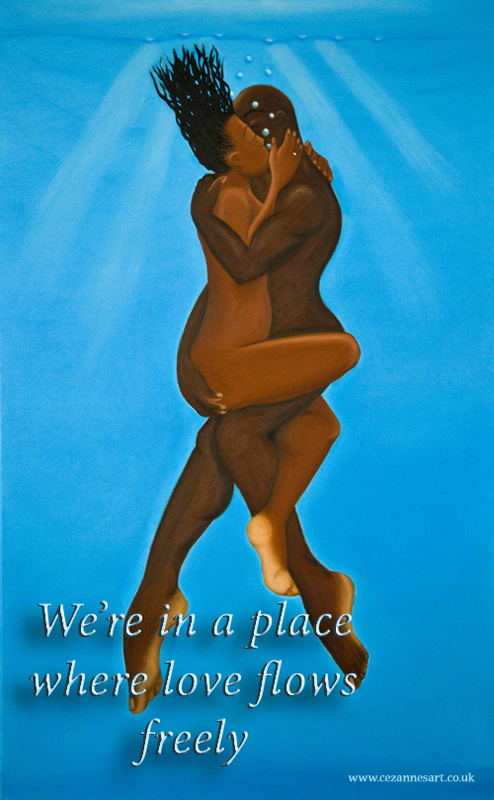 This blog will explore various issues around Black Sexuality, including how religion has been used to suppress our sexuality, the proper use of sexual energy, and the power the Black Man and Womban have to pro-create and bring things from the non-physical realm into this physical world when they come together in a high state of consciousness (and I’m not just talking about babies!). Keep posted, follow this blog!